Next up on our Song-By-Song preview is the official entry from Russia, “I Won’t Break” by Julia Samoylova, written by Leonid Gutkin, Netta Nimrodi, and Arie Burshtein. The song is performed in English. Samoylova has performed for years, and really kicked into high geer with her career when she was the runner up on “Faktor A“, the Russian “X Factor” franchisee, in 2013. 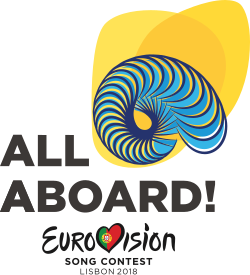 The song will be performed 6th in the competition order at the second semi-final on May 10. Russia debuted in EuroVision in 1994 and has competed twenty times thus far. They missed the 2017 contest, held in Kiev, Ukraine, when the country barred Ms Samoylova, who was also chosen to perform for her country last year, after she allegedly traveled illegally to Crimea. As a result, Russian withdrew and didn’t even televise the contest. They won the Grand Final in 2008 with “Believe” by Dima BIlan, and have made it to the finals every year since the semi-finals were introduced in 2004.